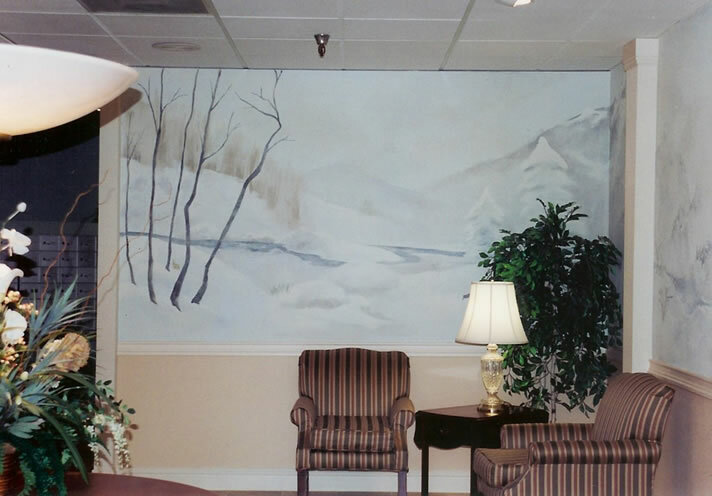 Assisted Living and Skilled Nursing homes have unique design challenges. Infirmity and the aging eye determine many design decisions. Residents living in these spaces do not get outside often so I always include paintings and murals to remind residents of their connection with nature. 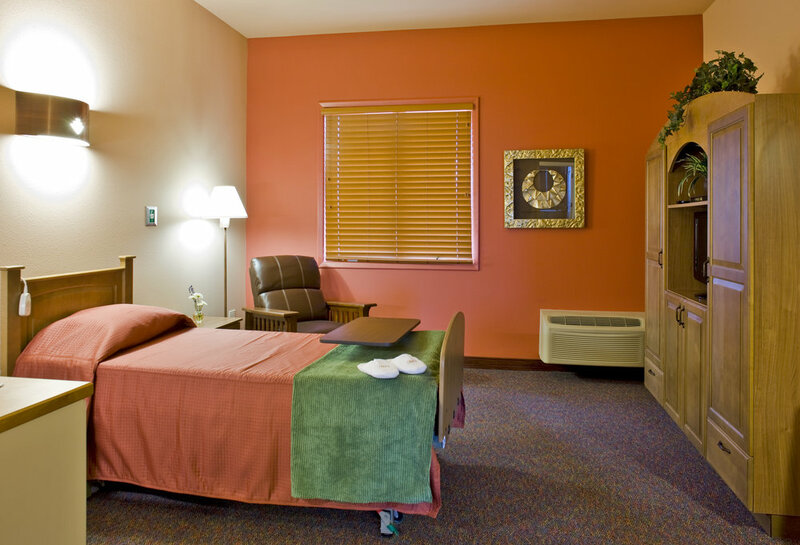 30,000sq.ft., 47 private rooms for medicare rehabilitation. A 146 apartment retirement center - independent and assisted living.